Check out the Sobeys Flyer and find the best deals and specials for your family meals – breakfast, lunch and dinner. 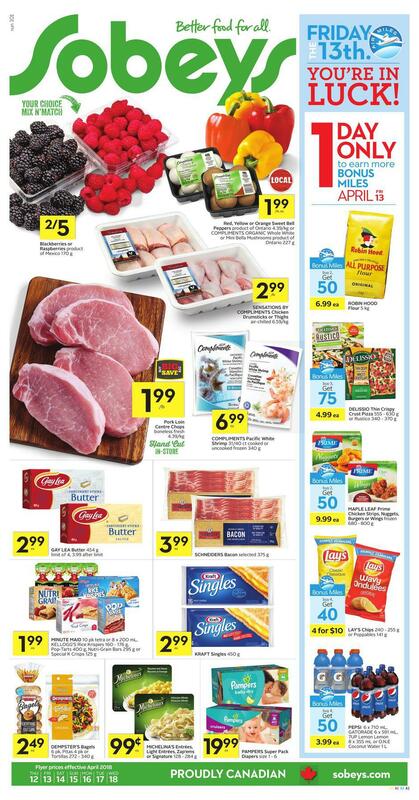 This Sobeys Weekly Flyer is valid from April 12 – April 18, 2018. The stores offer the Air Miles loyalty rewards program and a wide range of foods, including Mango, Onions, Potatoes, Tomatoes, Apples, Burgers, Maple Syrup, Chicken Wings, Pepsi or Coca Cola Soft Drinks, Coffee, Orange Juice, Pizza, Chocolates, Kellogg’s Cereals, Fresh Vegetables and Fruits, and much more. 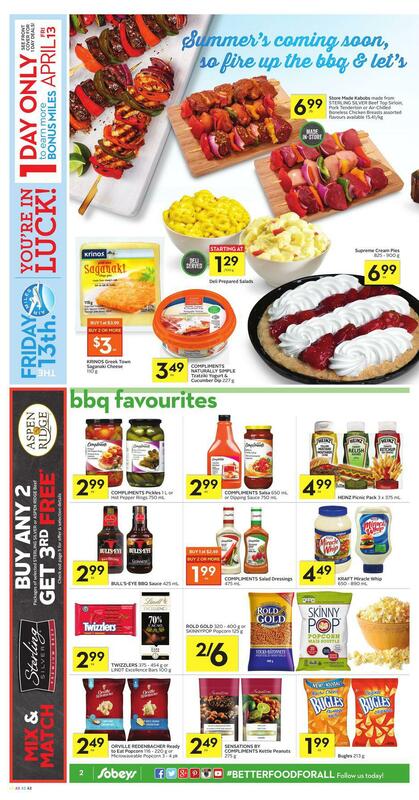 Find all sales and offers in the latest Sobeys Flyer for your local store.